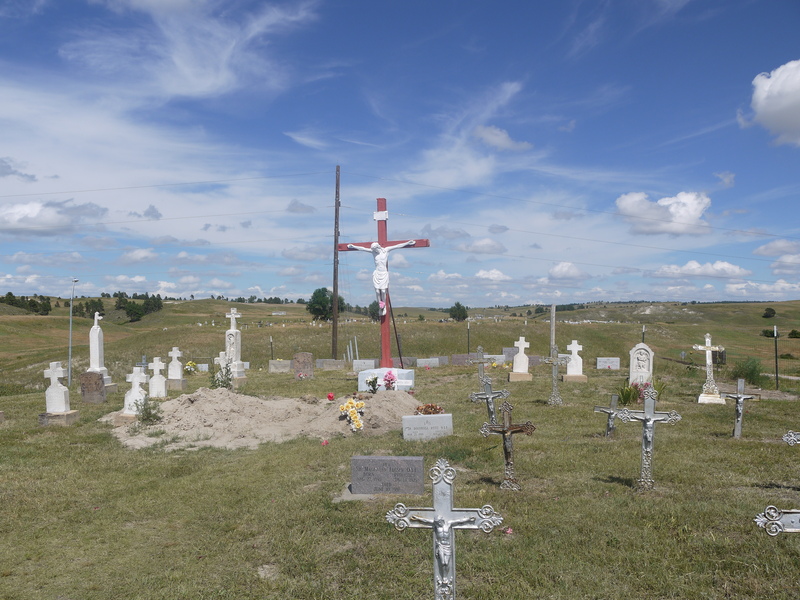 Catholic cemetary outside a Catholic-run school in Pine Ridge. Up through the 1970’s, children were taken from their families and forced into religious-run schools. At these schools, they were not allowed to use their language or practice their native beliefs.